Healthcare.gov and Obamacare: Not one and the same. 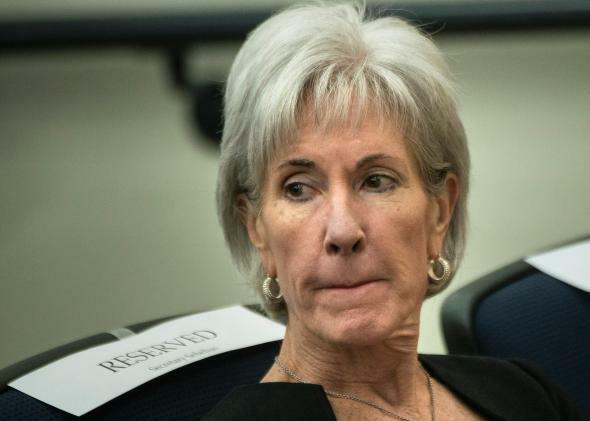 Kathleen Sebelius will get healthcare.gov fixed. It’s what might happen next that’s the problem. With the healthcare.gov “tech surge” being covered like the troop surge in Iraq, and Sunday’s Progress Report on the website being covered like 2007’s Petraeus report to Congress, one could be forgiven for forgetting that there’s a giant policy experiment going on behind and beyond this particular .gov. Friends in the media: Healthcare.gov is no more the entirety of Obamacare than pg.com is the entirety of Procter & Gamble. Ezra Klein and Evan Soltas: HealthCare.gov will work. That means Obamacare can work, too. Republicans realize the Web site is quickly improving, and are planning a multi-phase attack on the law’s other disruptions. There are the insurance cancellations, of course, but there also going to be people who happily buy new insurance only to find their doctor isn’t covered, and there will be people who end up paying higher premiums in the new market, and there will be employers who raise deductibles to keep from paying the 2018 tax on high-value insurance plans, and so on. Unlike HealthCare.gov’s technical problems, most of these issues will be part of the law working as it’s supposed to work rather than the law failing to work as it’s supposed to work. The problems that crop up long after the healthcare.gov fiasco is a distant memory won’t be so bad, Klein and Soltas tell us, because hey, they won’t be glitches, but all part of the plan. Sullivan, meanwhile, gets it right by framing the website rollout as just the beginning of a painful saga. [I]mproving the Web site, as the Obama administration announced Sunday it had done by its self-imposed Nov. 30 deadline, won’t spare it a prolonged political battle that promises to spill over into 2014. Like [Sen. Bob] Menendez, Sen. John Cornyn (R-Tex.) was looking beyond the Web site and its early woes and fixes — but in a very different way. “Website is least of Obamacare’s problems,” Cornyn tweeted Sunday. There are two reasons for the media’s obsession with healthcare.gov. One is the horse-race analysis factor of the website’s success—if the administration puts out a Progress Report, you’ve got to cover it. And the other is that, as Matthew Yglesias writes, no one is comforted by the fact that people can apply for Obamacare by means other than healthcare.gov. So what if Medicare had high enrollment numbers in the ’60s and ’70s, before the Internet existed? This isn’t the age of Medicare. This is the age of Kayak. Healthcare.gov will be fixed, eventually. The question isn’t whether healthcare.gov will fix Obamacare; it’s whether Obamacare will fix health care. Just as Boston’s nostalgia Marianne is more than a feeling, the Patient Protection and Affordable Care Act is more than a website.